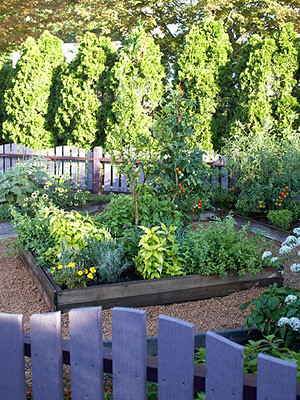 I want a vegetable garden. 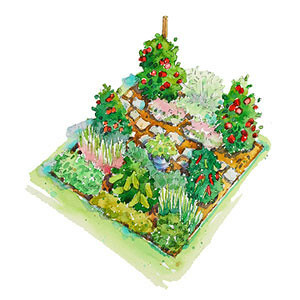 One of those cute raised bed gardens. 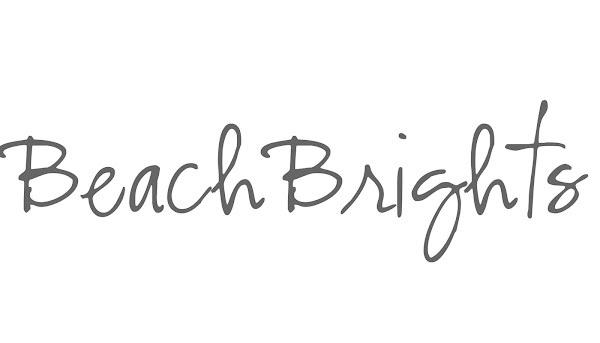 I also want a cute fence around the garden, with cute little name tags. 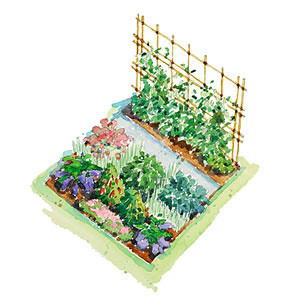 I also want the garden to plant, sow and weed itself. Enjoy some of these great ideas. Most of them came from www.bhg.com (unless otherwise stated). 2. 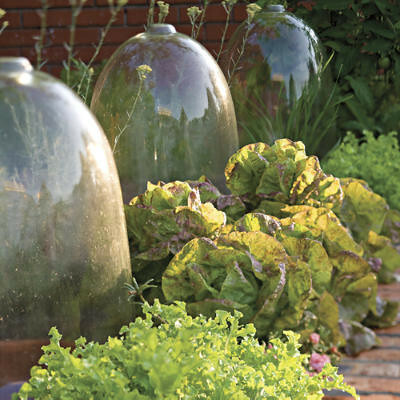 Fine Tuning: I love this lettuce garden & these bell jars...I am in love! Great garden but look at that view! 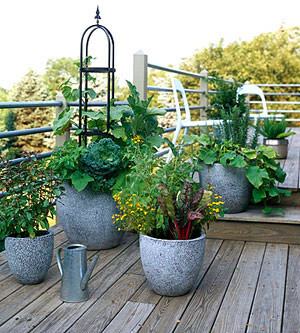 Even the smallest spaces can have a garden. 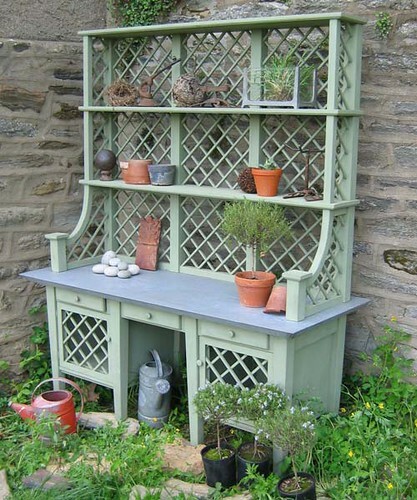 How about this for a potting space? I heart this!! 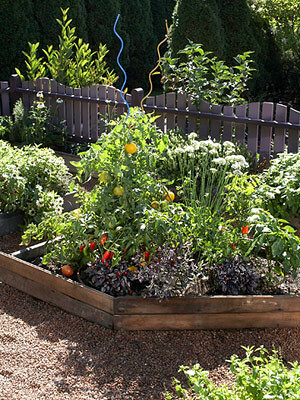 This is a great "how to" for building raised vegetable beds. 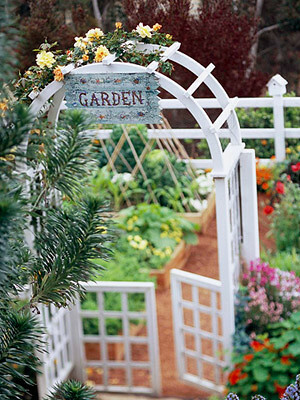 What kind of garden do you have? What works best? OMG! I am in love...such cool pictures/ideas! Let me know what you end up doing. 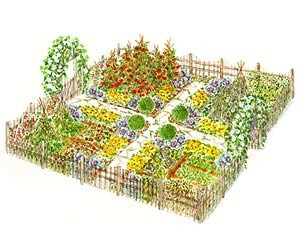 I once had a garden with raised beds and I tell you that is the way to go! You can sit on the edge and not kill you back. All our gardens are raised, even the hosta garden is raised 3ft off the ground surrounding our back yard...love it! Thanks for sharing! That garden with the view and the little white fences is gorgeous. I have raised beds. It is a nessecity with all of the rabbits that visit our yard. 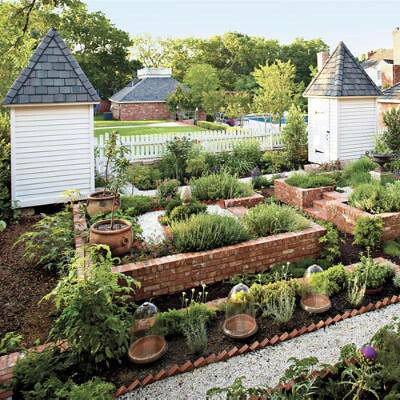 Really, I secretly covet Mr. McGregor's Garden! So pretty! I'm afraid mine is too practical to be so lovely, but I sure would love it to look like these! I started a square foot gardening container this year. We put in 10 raised beds this year and love them. They are SO easy to weed and care for! Reminds me that I need to post some updated pics of mine...not sure how cute it is, but it's producing some mighty fine veggies! 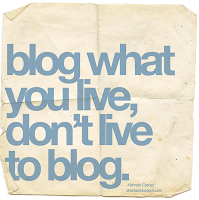 I blogged about my "garden" at the Hooked On party. 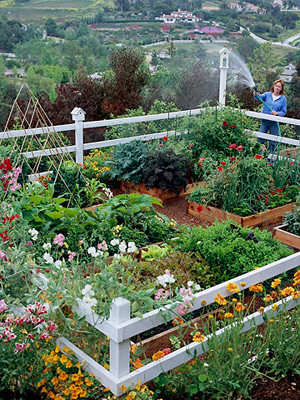 Mine is on my patio but I do aspire to have a raised bed as you wish when I am able to purchase a house. 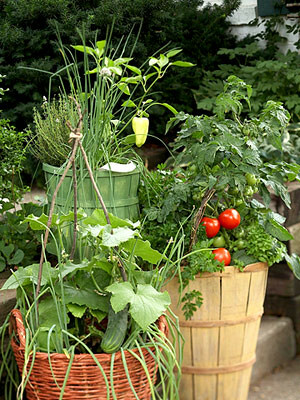 Fantastic and informative Veggie garden post! 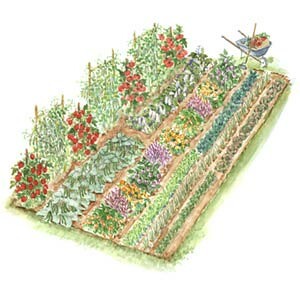 I use square foot gardening as I have a small yard...Have a wonderful weekend! 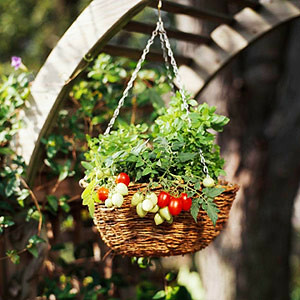 gorgeous, gorgeous garden ideas and photos. Gardens are living art!